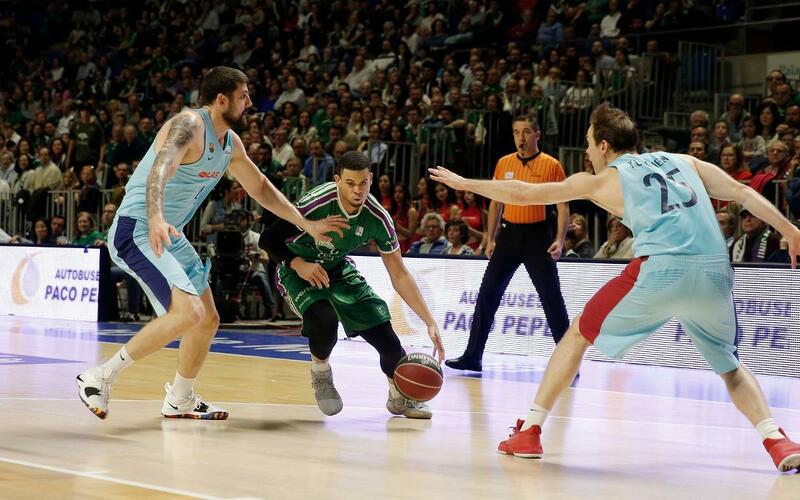 Barça Lassa are defeated at the death by Unicaja Málaga (80-78). The blaugranes worked well as a team and were led by Heurtel with 12 points and 10 assists. They fought until the end and a final Claver basket almost forced extra-time but was ruled out for an offensive foul. The blaugranes started well and were led by a prominent Tomic, with six points, in the opening quarter and a Koponen three pointer (1-11). Unicaja responded through Nedovic. Slowly, the home side cut down the advantage and the first quarter ended with them one point up (17-16). The second quarter started as the first one ended: with the home side in control. Oriola and Moerman did their best to reduce the distance but the blaugranas went into the break 17 point behind. Pesic’s men didn’t give up and they went about getting back into the game. Moerman and Heurtel gave their side energy and they clawed their way back. Oriola’s two late baskets levelled the scores by the end of the third quarter (55-55). The fourth quarter saw both sides trade blows throughout with Heurtel, Claver, and Jackson prominent. The game was decided in the final move of the game. Víctor Claver thought he had levelled the scores before it was ruled out meaning Barça Lassa lost 80-78 in a thrilling game. They will take on Delteco GBC at the Palau at 12.30 CEST on Sunday.